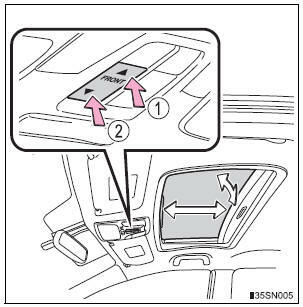 Opens the moon roof* The moon roof will stop at the tilt up position once. To tilt down, press the opposite side of the switch. Press the switch again to open. 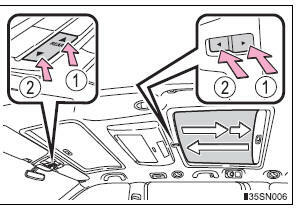 *: Lightly press either of the roof switches to stop the moon roof partway. Opens the moon roof* The moon roof stops just before it is opened fully. Press the switch again to open fully.